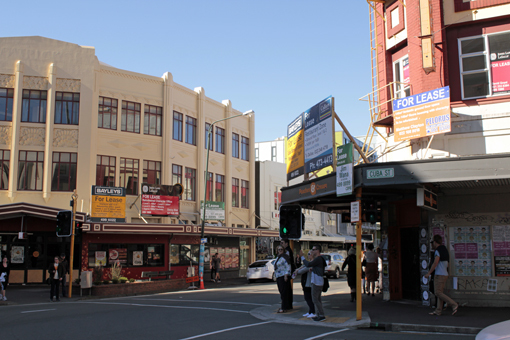 The Inner city association established in 2009 meets monthly in the Quality Hotel in Cuba St. I attended a meeting this week that was facilitated for its members and other interested parties, to hear what the city council is doing regarding the massive issue of earthquake prone buildings in the city. There was a large audience of concerned apartment and building owners in the room. The council representatives included Councillor Iona Pannett and senior council officers; also there was MP Grant Robertson and technical advisors who are focused on dealing with the earthquake prone building problem. I was heartened to hear the council’s commitment and engagement with the community and their willingness to work with the concerned owners. 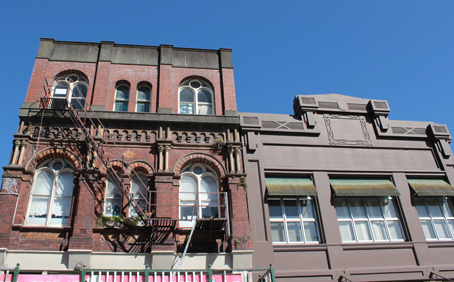 I was also pleased to hear that they realise there are important heritage precincts such as Cuba St where building owners with prone buildings will need some assistance. However how they intend to assist them is yet to be worked out. What became evident to me through the meeting was that there is a lot of stressed owners concerned about a number of issues. What are the future intentions of the central and local governments, regarding the changing again of the building code for strengthening buildings? There are an increasing number of prone commercial buildings that are under 50% strengthened, that are empty and costing the owners. The public is concerned about where they locate their businesses and the safety of their staff and customers. The plummeting values of the properties that are earthquake prone and the ability of body corporates and building owners to afford the work that is required to bring them up to a code that could well be changing again. A big problem that is currently affecting everyone is that the insurance companies have ratcheted up their premiums. In one case an inner city low rise brick apartment building (that was strengthened to the current building code when converted from a factory in the 90’s) have had their premiums increased from $17,000 to $90,000 per year! The only insurance companies willing to insure buildings in NZ now are from off shore. All the NZ companies have either gone bust or pulled out of that market since the Christchurch quakes. The details of the numerous problems being faced by all parties are long and complex. One positive is that everyone is willing to talk about these issues. There are a lot of experts involved in the discussions, engineers, architects, BRANZ, Historic Places Trust, Council and private owners. All these people are working to find solutions to these complex issues. Wellington City Council is advising the Royal Commission on the Canterbury quakes. The WCC is regarded as an expert in these matters, due to the work the city has already done in this area. The commission’s report is due out at the end of the year and will be making suggested building code changes. Let’s hope the balancing act between overreacting to the earthquake risk and the damage this could cause to our economic and social fabric is being well considered by those that govern. “The world is my oyster” a quote by William Shakespeare and a good positive affirmation to start the day with. However if I wanted a feed of these delicacies at the end of my day, I would need to forsake a good chunk of the week’s food budget to enjoy this hard-shelled delight. 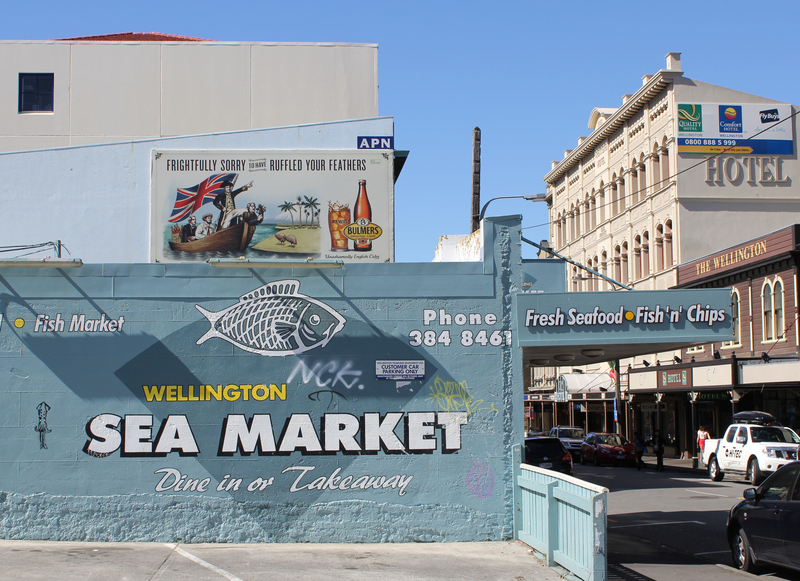 I recently stood in Wellington Sea Market at 220 Cuba St and considered buying some luscious new season Bluff oysters. I tried briefly to work out the inflation on this particular shellfish over the last 30 years. Today 1 dozen will set you back $26.95. I remembered that in the early 80’s I was able to buy a 5 dozen tin of Bluff oysters in this very shop for $25. I opted instead for some fish off cuts to make a curry and kept my food budget in check. 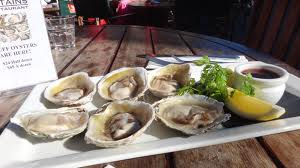 Oysters in NZ were first harvested and traded in the Nelson and Marlborough areas. The English settlers had a developed palate for these slippery delights, fostered in their home country where they were also plentiful and accessably priced. The settlers spotted the local Iwi collecting this particular Kai Moana in 1838 and by the 1890’s had ventured in on a large commercial scale and set up a constant supply feeding the locals in Nelson and Wellington. 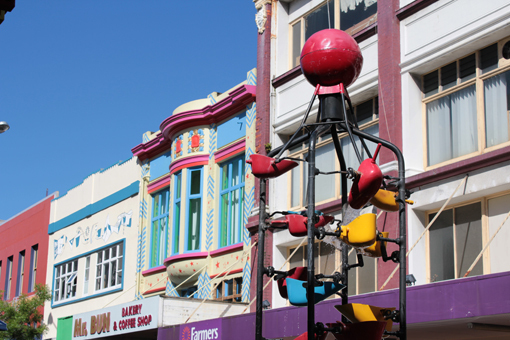 Cuba St has always been a street full of eateries and Oyster Saloons were in the street from the 1880’s. These establishments were dining rooms which offered oysters for sale in every possible form: in the shell, raw, tinned, bottled, cooked in every conceivable way from soup, stewed, escalloped and fried. Today at 63 Cuba St stands The Body Shop, but in 1891 one of the earliest Greek immigrants from Corfu Peter Garbes opened a Fish Shop/ Oyster Saloon at the same address. Just 3 years later Mr Gallete Haralambos, also a Greek immigrant took over the saloon and shop. This gentleman became known as an enterprising shop owner through his well-remembered sales and marketing techniques. The freshest fish could be bought at 63 Cuba St’s Fish Shop and Oyster Saloon as well as other products including Crayfish, Muttonbirds and Rabbits which were sold intact with their fur still attached. Ice blocks were introduced in the early 1900’s and used in the window as part of the display, this drew the interest of curious passerby’s who had not seen this new form of food preservation before. Large whole fish would also be strung up in the shop window. The author Pat Lawlor’s remembers when he was young a 20 foot long Shark with a huge jaw of teeth, this gave him nightmares for days. However the biggest claim to fame for this shop must be its mascot, a tame Penguin. The Penguin was kept in the doorway and convinced to stay there with regular feeds of Spotties ( those little fish full of bones and hard for humans to eat) caught just down the road at the water’s edge. I can visualize now, a crowd of children fascinated by this pet and their mothers waiting in line for the then affordable delicacies of oysters and crayfish. Oysters where also on the menu at another Greek immigrant’s family establishment further up the street at 138 Cuba St. Where the extended Espressoholic is located today was The Karantze Brothers restaurant, which was established in 1905. The family owned the building until the 70’s. In the book ‘Wellington’s Hellenic Mile” family recall that before refrigeration arrived, the oysters were stored in sacks in the harbor shallows all the way down in Thorndon! Each day one of the men would have to push a hand barrow with a sack of oysters up the street to the shop, where their customers could enjoy the freshly shucked delicacies. Ah the romance of the past, not really, the Greek fishmongers worked long hours, having to rise at 3am to meet the fishing boats coming into the wharf to get the best of the fish for their customers. It’s great to think that after 152 years there is still fresh fish being sold to the residents and customers of Cuba St, and still members of the Greek community servicing this business.